My Shepherdstown location is convenient to Martinsburg, Charles Town and Harpers Ferry. 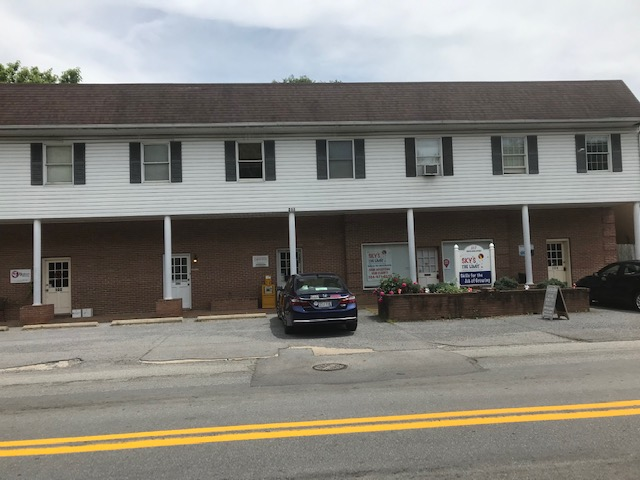 This office is located on the rear side of the two story shopping center complex located on the corner of Princess Street and Washington Street, adjacent to the railroad tracks to the side of O’Hurley’s General Store, where Route 230 becomes Washington Street. There is ample parking. The suite doesn’t have my name on it (I sublet) but has “Heart to Heart Counseling” on the front side, and the name “Insight Services” on the rear side/actual door. From the front, the office appears to be on the second level. Parking and entrance are around the back of the building.